A new release of ggplot2 (2.3.0) is on the horizon, and we’d love to have people try it out, give us feedback, and report issues before we submit it to CRAN. This version is the culmination of over a year and a half of development, not all of which will be captured here. So, please see NEWS for a fuller account of updates and changes. In addition to highlighting a few features and improvements, we also want to share a bit about our release-preparation process for ggplot2, which has over 2,000 reverse dependencies. Regression testing, visual and otherwise, allows us to keep track of changes throughout the development process. Before submitting an update to CRAN, we need to ensure that the packages that depend on ours still pass R CMD check, and inform reverse-dependency maintainers in the event that they do not.1 We use revdepcheck to help automate this process, and distinguish between “false positives” (pre-existing failures), and issues introduced in the development version of your package. At this point, we begin to manually examine the failures. “Newly broken” issues are extracted from the problems report and put into a Google sheet where (with the great help of Thomas Lin Pedersen, Claus Wilke, and Kara Woo) we identified clusters of errors to tackle. For example, 97 packages returned a warning due to a namespace clash between dplyr::vars() and ggplot2::vars(). That’s something we clearly need to fix, so we open an issue to track progress. We discover that code that previously appeared to work was actually hiding a potential error. For example, in this version of ggplot2 we ensure that input data frames don’t have duplicate column names. Previously ggplot2 just took the first column with a name, which might have concealed a bug. We decided that it’s worth breaking a small amount of existing code in the interests of improving future code. 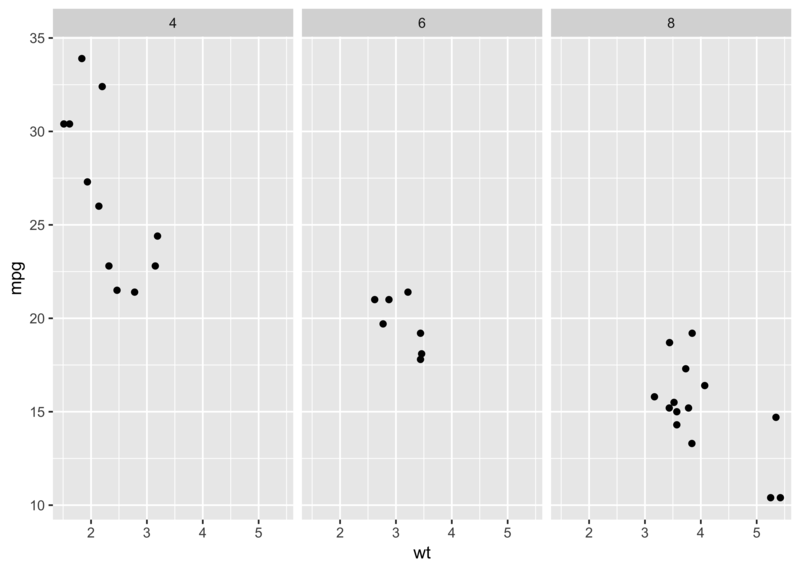 For example, this version of ggplot2 adds support for tidy evaluation making ggplot2 more compatible with the rest of the tidyverse. This breaks a small number of packages that use ggplot2 but should affect very little data analysis code, so we decided that it was worth it. If you run into an error when running code that works with ggplot2 2.2.1 (the version on CRAN as of this writing), you should look for it in the “Breaking changes” section of news. If you can’t find it in the news, please file an issue - either it’s an inadvertent change, or we need to describe it better in the news (or make it easier to find when searching for keywords). As per usual, please do a search of existing issues before filing a new one to avoid duplication. You can also ask for help in community.rstudio.com. You can now use quasiquotation in aes(), facet_wrap(), and facet_grid(). To support quasiquotation in facetting we’ve added a new helper that works similarly to aes(): vars(), short for variables, and instead of facet_grid(x + y ~ a + b) you can now write facet_grid(vars(x, y), vars(a, b)). The formula interface won’t go away; but the new vars() interface should be much easier to program with. 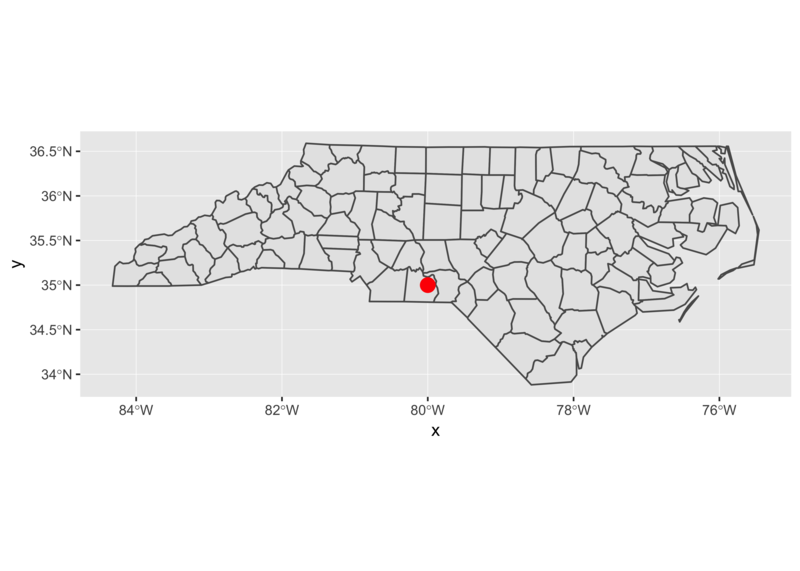 ggplot2 now has full support for simple features through sf using geom_sf() and coord_sf(); it now automatically aligns CRS across layers, sets up the correct aspect ratio, and draws a graticule. The new stat() function offers a cleaner, and better-documented syntax for calculated-aesthetic variables. This replaces the older approach of surrounding the variable name with .... Instead of using aes(y = ..count..), you can use aes(y = stat(count)). This is particularly nice for more complex calculations, as stat() only needs to be specified once; e.g. aes(y = stat(count / max(count))) rather than aes(y = ..count.. / max(..count..)). Several new functions have been added to make it easy to use Viridis colour scales: scale_colour_viridis_c() and scale_fill_viridis_c() for continuous, and scale_colour_viridis_d() and scale_fill_viridis_d() for discrete. Viridis is also now used as the default colour and fill scale for ordered factors. There are several other improvements, which will be described in further detail once the ggplot 2.3.0 is released on CRAN (currently targeted for June 25th). For now, please kick the tires and let us know what you think!